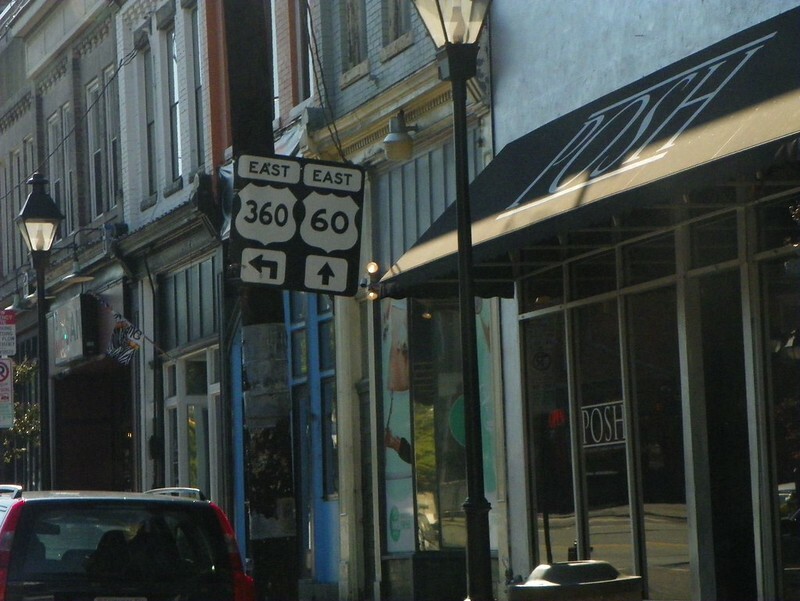 US 360 in downtown Richmond, Va.
How well signed is US 360 in downtown Richmond? The VDOT map shows 360 coming in from the southwest on Hull Street and across the Mayo Bridge on 14th Street, then turning right onto Main Street, then left on to 18th Street, following it as a one-way to 17th Street, then right, then right again on Fairfield way and then left onto Mechanicsville Turnpike. I hope to have the opportunity to clinch 360 in a few weeks, and I know signage and VDOT maps can be contradictory in downtown Richmond. Re: US 360 in downtown Richmond, Va. In the direction you have specified, the latest GMSV (Aug 2016) shows all of those turns marked EXCEPT Main St to 18th. If that's the case, it looks like the sign that was up in 2012 has been taken down.